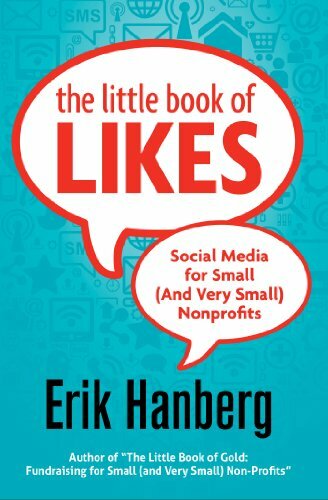 Author Erik Hanberg has allowed us to re-share this excellent article he wrote that was originally featured on ForSmallNonprofits.com. I’ve recently been inspired by DearEnglishMajor.com (I was an English major) and its words of wisdom to students who are thinking about the work world. Remembering back to my own senior year in college, it was in the late winter that I (belatedly) finally realized I needed to start thinking about a job. I was all over the map but I ended up interviewing at two different places: Amazon.com … and a small nonprofit. After two rounds of interviews with Amazon, I called up my contact and let her know that I decided it wasn’t the right fit for me. Instead, I took the (initially) unpaid marketing job at a small nonprofit. In retrospect, I’m not sure why I was so certain this was a good call. I mean, couldn’t I have at least kept interviewing to see if they would have hired me? And yet. I don’t really regret. If Amazon had decided to hire me—not a given, I will fully admit—my life would be dramatically different. Different city, different family. I wouldn’t have written the same books, I almost certainly wouldn’t be serving as an elected official on my local park board. There have been some great things to come from that decision. So I thought I’d call out a couple things that I’ve come to appreciate about the path I chose so that young people who are in a similar place as I was can think about the decisions in front of them. Professionally speaking, there’s a lot I’ve gained from choosing a path in nonprofits. One of the great things about working at a small nonprofit was getting to work with people all over the community. Living and working in a community is great—I love seeing people I know whenever I’m out and about around town. I got to know people in business, the arts, government, and much more, and it a great chance to see all that my community had to offer. But there’s a professional benefit to this as well. Within a couple of years of that first job, I had a surprisingly wide network of friends and acquaintances. 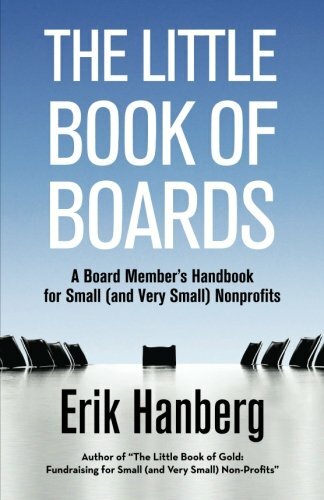 This came in handy when I applied for a job (at another small nonprofit) because it turned out I already knew a couple of board members, thanks to my first job. There’s no way I would have been hired at the age of 23 to run a nonprofit if I didn’t have that wide network in the community. If your first job out of college is in the bowels of a corporation, it will often mean a much narrower circle of professional contacts (who are usually other employees, which makes it harder if you want to leave). One of the challenging parts of working at a small nonprofit is the bootstrapped nature of the work. Every employee often has to do a little bit of everything. Sometimes this can be frustrating, like when you’re the only employee who knows how to change toner in the copier. But at other times, it’s useful. Doing marketing at that first job, there was much more marketing to do than the small staff could handle. So we all did what we could. That meant I got to dabble in events and dabble in press tours and dabble in online communications. Do enough dabbling (especially early in your career) and you can figure out what parts of your job you really like or really excel at. So you can tailor your next job appropriately. Conversely, if your first job is at a big corporation, the more narrower your focus likely is, and less you are able to dabble in different kinds of work. I don’t want to badmouth corporations or their employees. I am friends with several people who work at Amazon or other large companies in Seattle. Nonprofits aren’t inherently a better place to work than a big company, and the qualities I enjoy about nonprofits could probably be duplicated in a corporation if you worked hard at it. So there isn’t a wrong answer here. But looking back over the last 12 years, I have to say, I’ve been very happy about the opportunities my nonprofit experience has opened up for me later in my professional career. 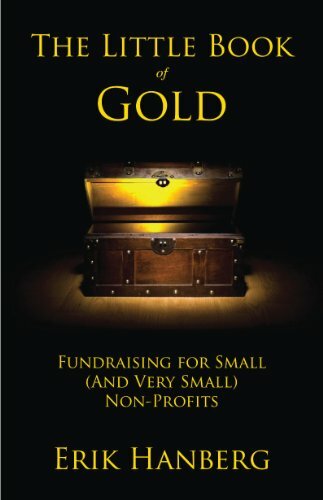 The original article can be found on ForSmallNonprofits.com. Posted on May 27, 2015 by Alyssa W. Christensen and filed under Articles, Featured Articles, English Major Stories.